McAfee & Taft, Oklahoma’s largest law firm, received top marks in the 2017 edition of the Chambers USA Guide to America’s Leading Lawyers for Business, earning top rankings in the areas of corporate/commercial (including tax and healthcare), energy and natural resources, intellectual property, labor and employment, litigation and real estate law. The firm’s Native American law practice was also highly ranked. In addition, 39 of the firm’s attorneys were honored as leading lawyers in their respective practice areas. Once again, trial lawyer John A. Kenney was the only Oklahoman to be honored in two categories, litigation and intellectual property. Others re-named to the prestigious list were T. Michael Blake (Corporate/Commercial: Tax), Rachel Blue (Intellectual Property), Joseph H. Bocock (Litigation), Timothy J. Bomhoff (Energy), Courtney Bru (Employment), Mark D. Christiansen (Energy & Natural Resources), W. Chris Coleman (Corporate/Commercial), Mary Quinn Cooper (Litigation), Bruce Crum (Corporate/Commercial), Robert W. Dace (Litigation), Elizabeth L. Dalton (Corporate/Commercial: Healthcare), Clifford C. Dougherty, III (Intellectual Property), Bill G. Freudenrich (Employment), Robert L. Garbrecht (Real Estate), Spencer W. Haines (Corporate/Commercial: Tax), Lloyd T. Hardin, Jr. (Real Estate), John N. Hermes (Litigation), Frank Hill (Real Estate), Michael E. Joseph (Corporate/Commercial: Healthcare), Robert J. Joyce (Energy & Natural Resources: Environment), Garry L. Keele, II (Energy & Natural Resources: Environment), Michael J. LaBrie (Intellectual Property), Myrna Latham (Real Estate), Michael F. Lauderdale (Labor & Employment), H. Cole Marshall (Real Estate), Kathy R. Neal (Employment), Charles S. Plumb (Employment), Tony G. Puckett (Employment), Anthony Rahhal (Intellectual Property), Richard A. Riggs (Real Estate), Reid Robison (Litigation), Patricia A. Rogers (Corporate/Commercial: Healthcare), Joshua D. Smith (Corporate/Commercial), C. David Stinson (Energy), N. Martin Stringer (Corporate/Commercial), Peter Van Dyke (Employment), Nathan L. Whatley (Employment), and Elizabeth Scott Wood (Employment). In addition, Joe C. Lewallen, Jr. was named a “Notable Practitioner” in the field of real estate law. 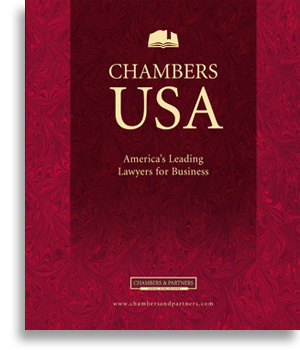 Researchers with London-based Chambers & Partners Publishing, publishers of the 2017 guide, conducted in-depth interviews of attorneys and clients throughout the United States to identify and rank the nation’s leading business lawyers. The final rankings are based on such factors as technical legal ability, professional conduct, client service, commercial awareness/ astuteness, diligence, commitment, and other qualities most valued by the client. With nearly 170 attorneys and offices in Oklahoma City and Tulsa, McAfee & Taft is one of the nation’s 250 largest law firms as ranked by National Law Journal. John A. Kenney T. Michael Blake Rachel Blue Timothy J. Bomhoff Courtney Bru W. Chris Coleman Mary Quinn Cooper C. Bruce Crum Robert W. Dace Elizabeth L. Dalton Clifford C. Dougherty, III Bill G. Freudenrich Robert L. Garbrecht Spencer W. Haines Lloyd T. Hardin, Jr. John N. Hermes Frank D. Hill Michael E. Joseph Robert J. Joyce Garry L. Keele, II Michael J. LaBrie Myrna Schack Latham Michael F. Lauderdale H. Cole Marshall Kathy R. Neal Charles S. Plumb Tony G. Puckett Anthony L. Rahhal Richard A. Riggs Reid E. Robison Patricia A. Rogers Joshua D. Smith C. David Stinson N. Martin Stringer Nathan L. Whatley Elizabeth Scott Wood Joe C. Lewallen, Jr.